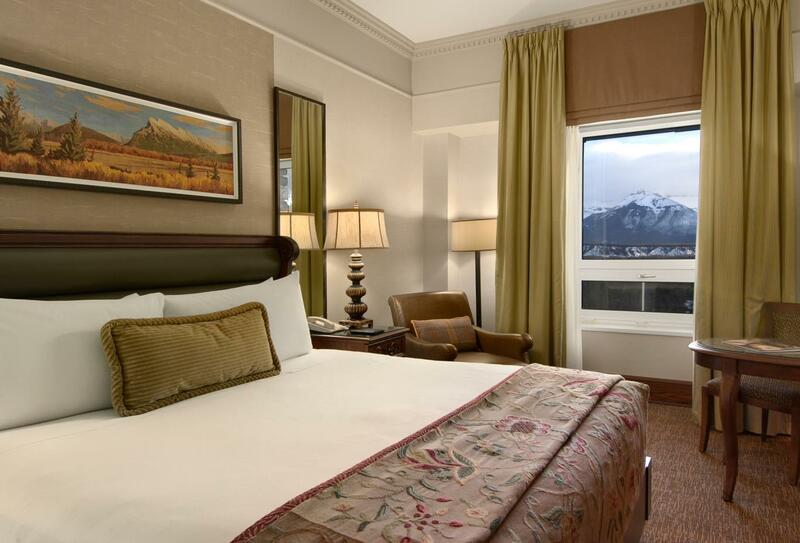 Commonly referred to as ‘Castle in the Rockies’, The Fairmont Banff Springs is over 125 years old and is renowned for its hospitality. 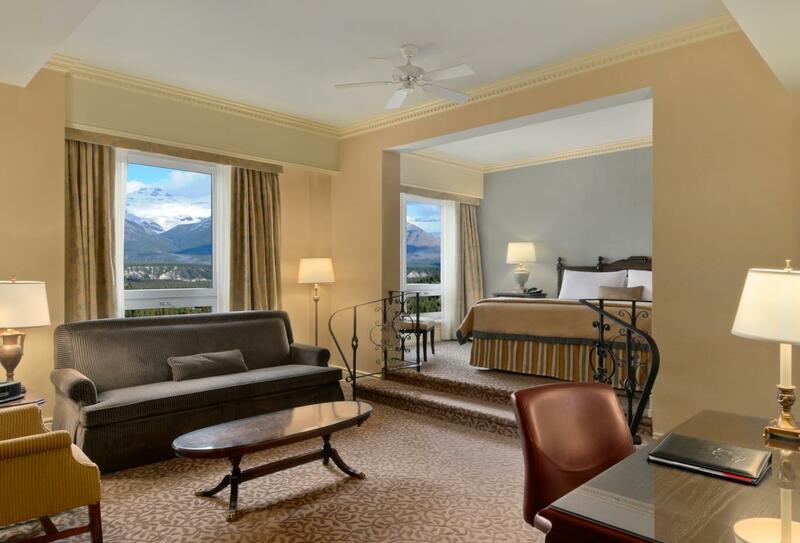 The hotel is located in the heart of a UNESCO World Heritage Site known as Banff National Park which provides a dramatic backdrop to the medieval designed hotel. There is a wide range of luxury rooms and suites available and a plethora of dining options, most noticeably The Banffshire Club - which serves up juicy traditional steaks. 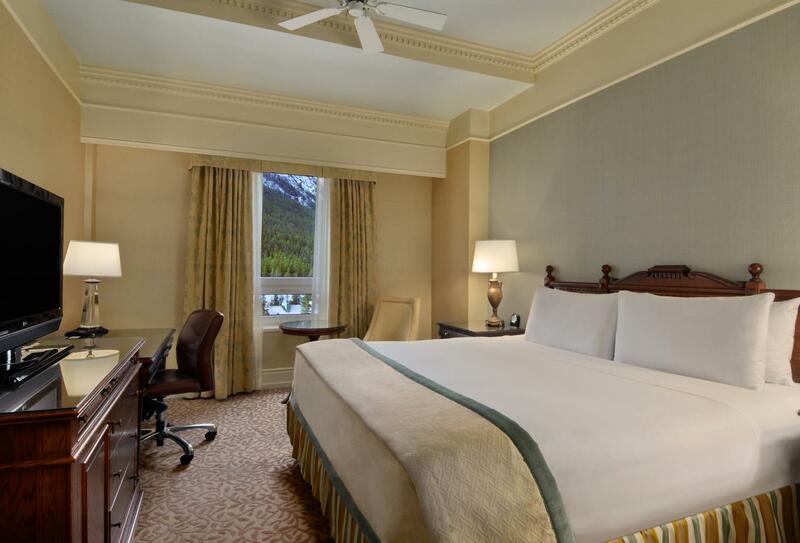 Regardless of whether you would prefer to travel in the summer or the winter, The Fairmont Banff Springs is a year round resort, with unparalleled skiing options in the winter and championship quality golf in the summer. Guests will also enjoy the Willow Stream Spa, where there are treatment rooms for you to relax and rejuvenate. 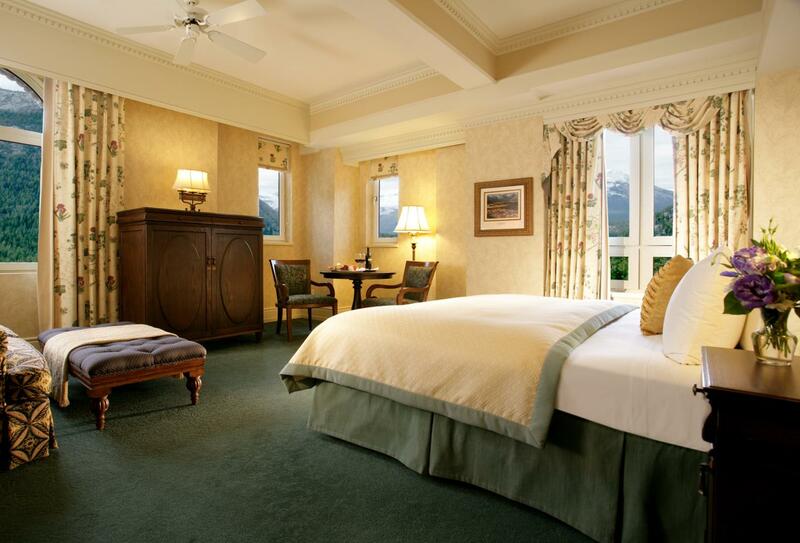 Distinctively furnished with warm, homely colours, Deluxe Mountain View Rooms are ideal for individuals or couples. 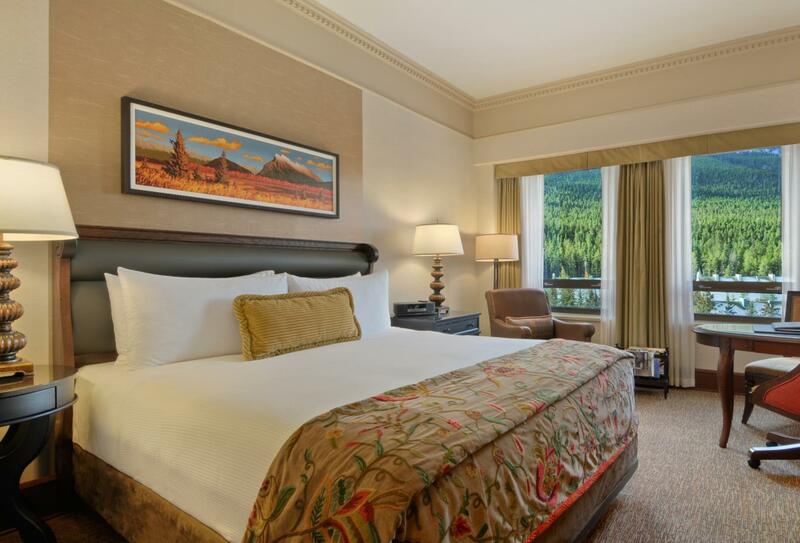 The rooms also offer spectacular views across Bow Valley, Spray Valley or Tunnel Mountain. 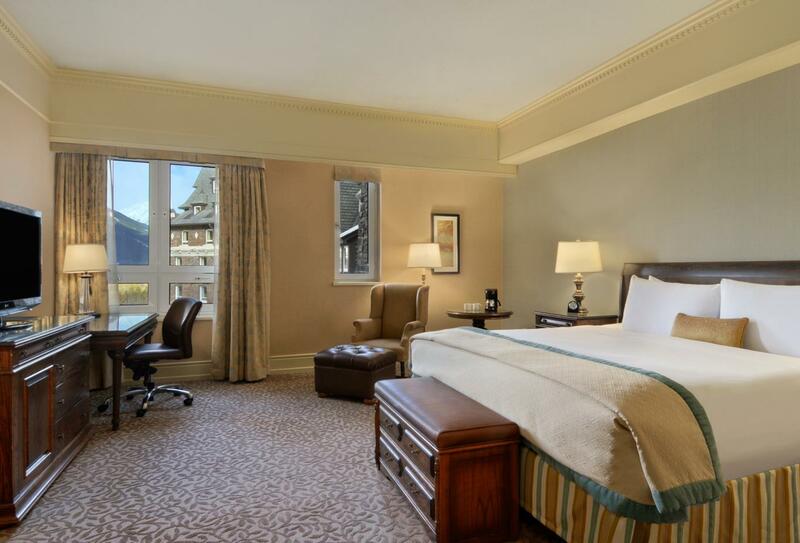 Located in the main building, the Deluxe Room offers tranquil woodland views or courtyard-like scenery. The room is elegantly designed and features a calm, relaxing ambience. 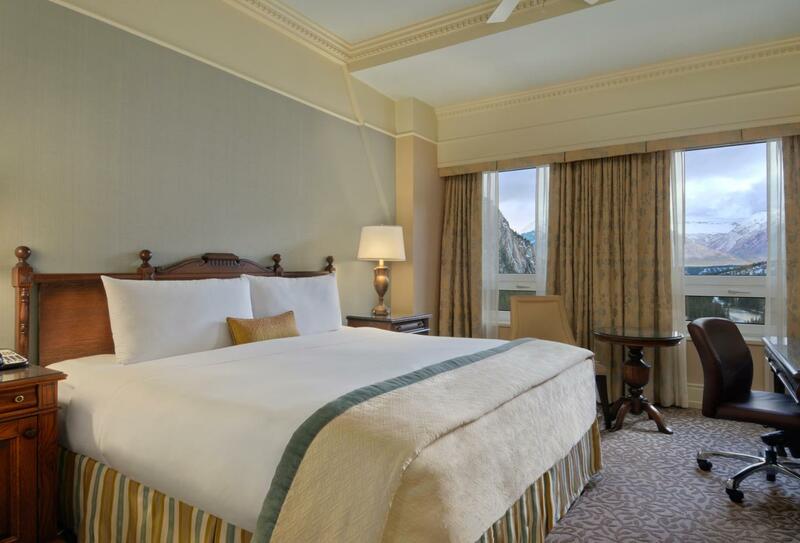 Guests can enjoy a luxury experience in Fairmont Gold, where contemporary and cosy rooms await. The rooms are adorned in rich fabrics and offers woodland or castle courtyard views. 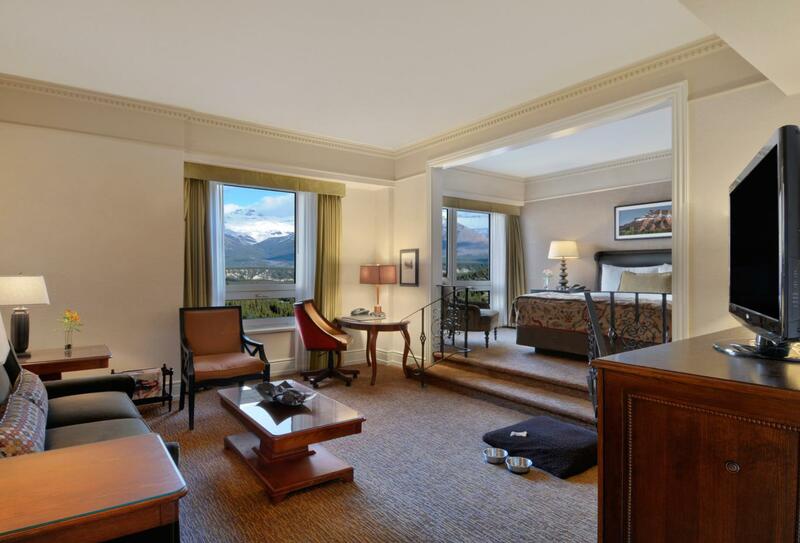 The Fairmont Gold Junior Suite exudes an ambience of elegance and serenity. 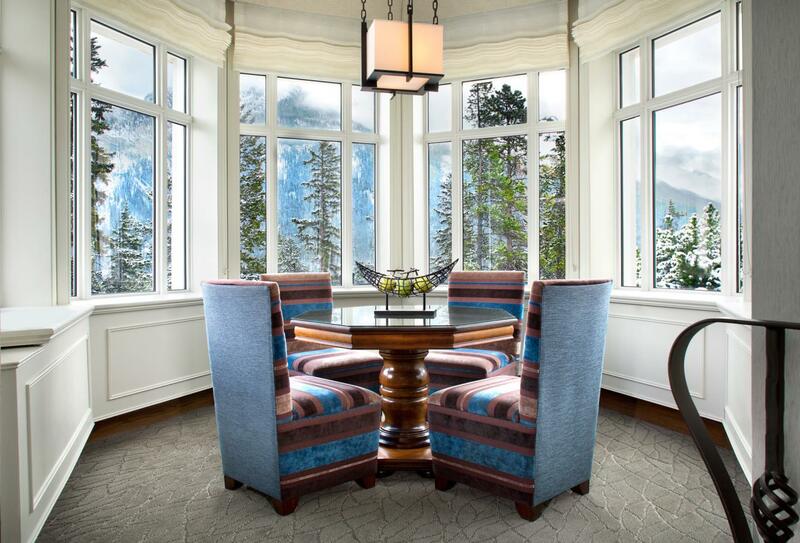 The room is accentuated by the spectacular views that spread across the Bow Valley and Tunnel Mountain. These rooms are located in the main building and possess a large living area and contemporary body shower that is decorated in stunning granite and slate. 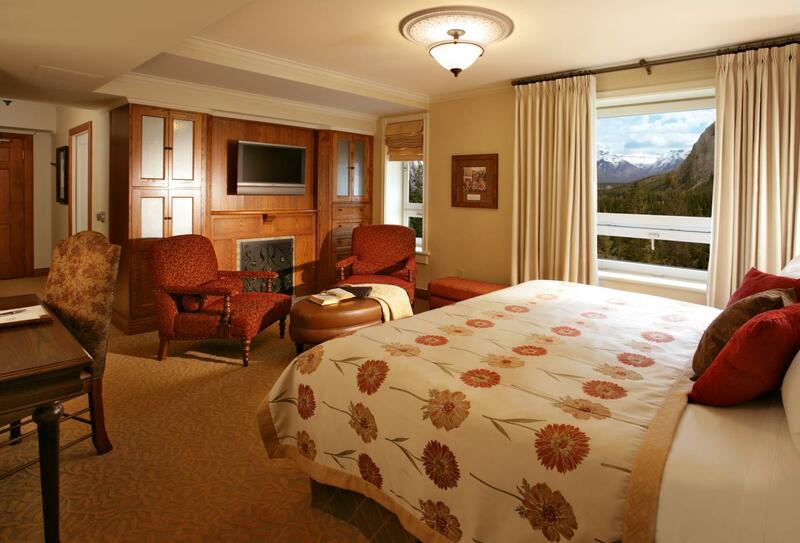 Guests can enjoy views across the Bow Valley or Spray Valley. Spacious and rich in appearance, the One Bedroom suite offers an elegantly appointed living room, private entrance and individually styled furniture and art. The attached bedroom is completely private and has a luxurious bathroom that boasts a granite vanity and slate flooring. This suite is ideal for families or for entertainment purposes with its booming Bose stereo system. 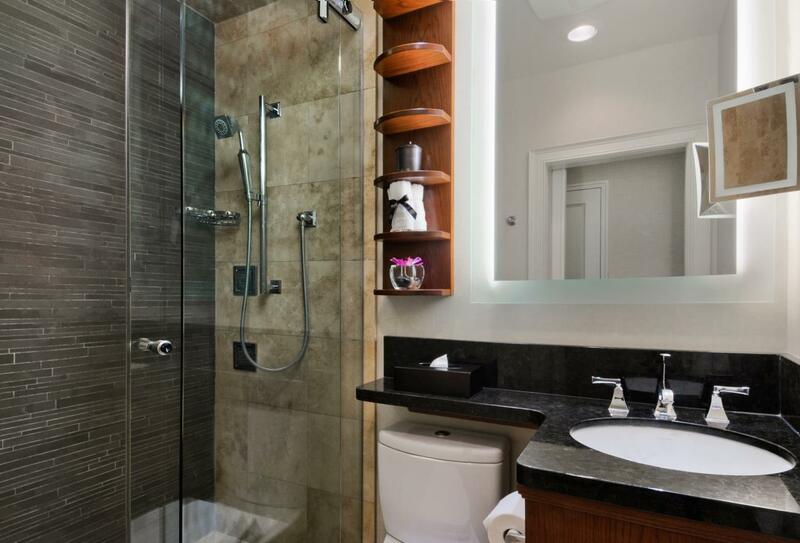 Much like the One Bedroom suite, guests can expect to enjoy styled furniture and art, slate flooring and granite vanities and a sense of luxury. 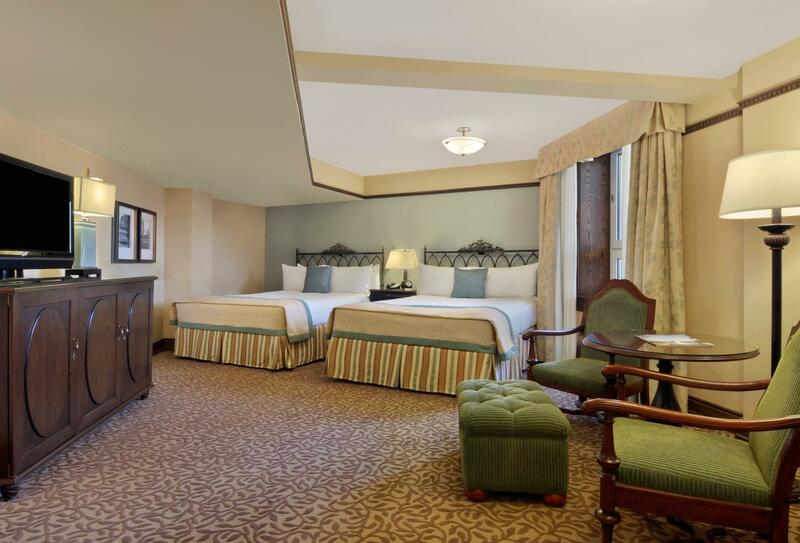 These charming rooms are ideal for individuals or couples exploring the region. They are located throughout the resort and offer views across Bow Valley, Spray Valley or Tunnel Mountain. 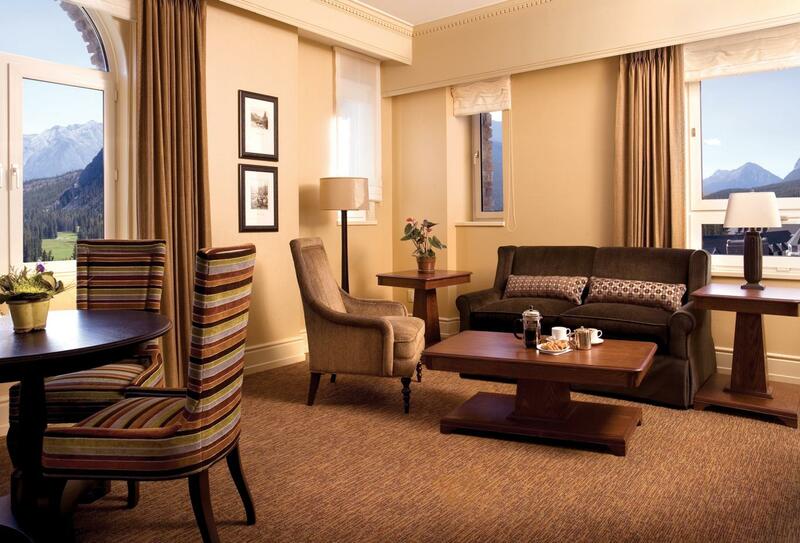 Distinctly furnished and cosy in character, the charming Fairmont rooms are ideal for individuals or couples. Located throughout the resort these rooms offer a variety of bed types with views of woodlands and the castle like courtyards (some views may be limited). A spacious, contemporary and open concept suite. 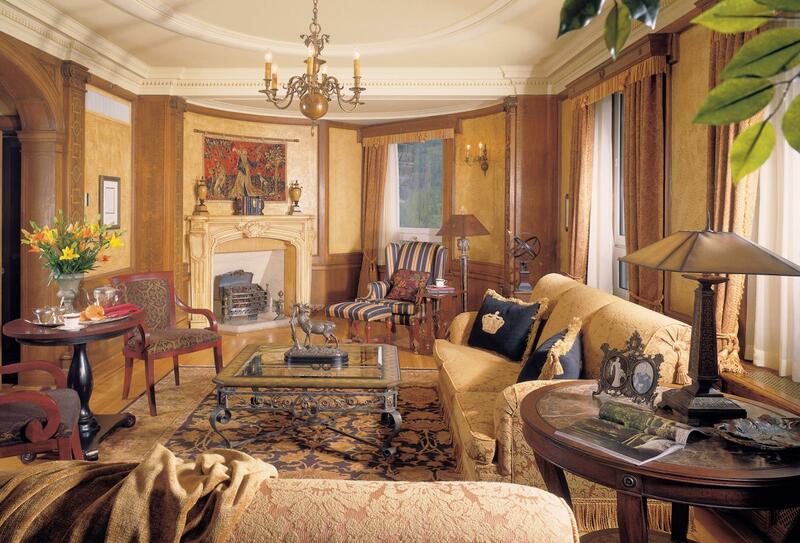 This suite prides itself on home comforts and a refined living area. 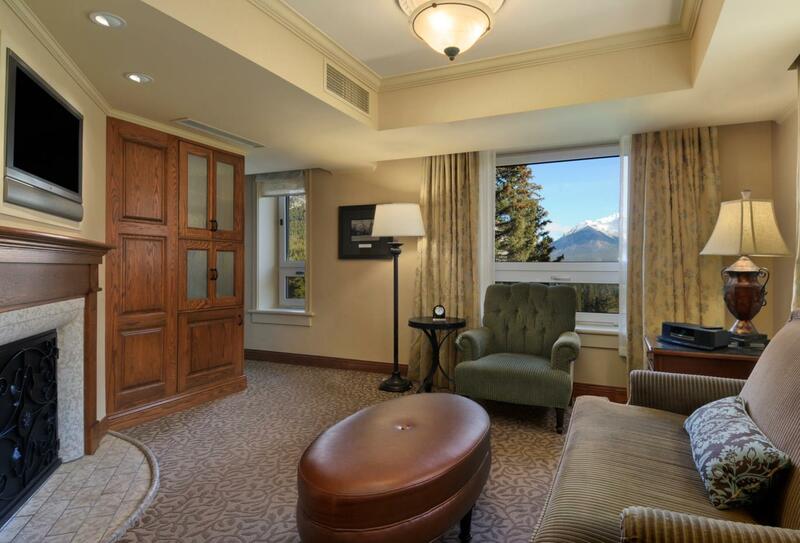 There are breath-taking views over the mountain vistas such as Bow Valley and the Fairholm Mountain Range. 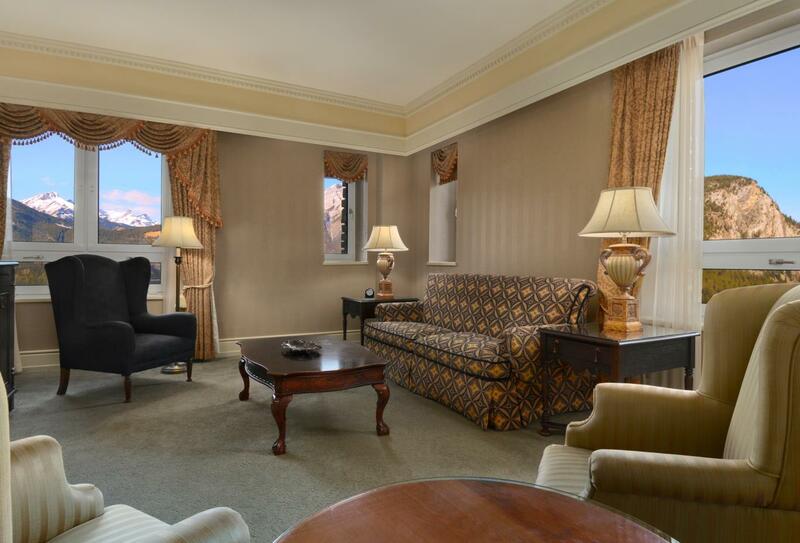 These suites are spacious with an elegantly appointed living and a private entrance. There is also a pleasant sitting area and excellent views out over Bow Valley. 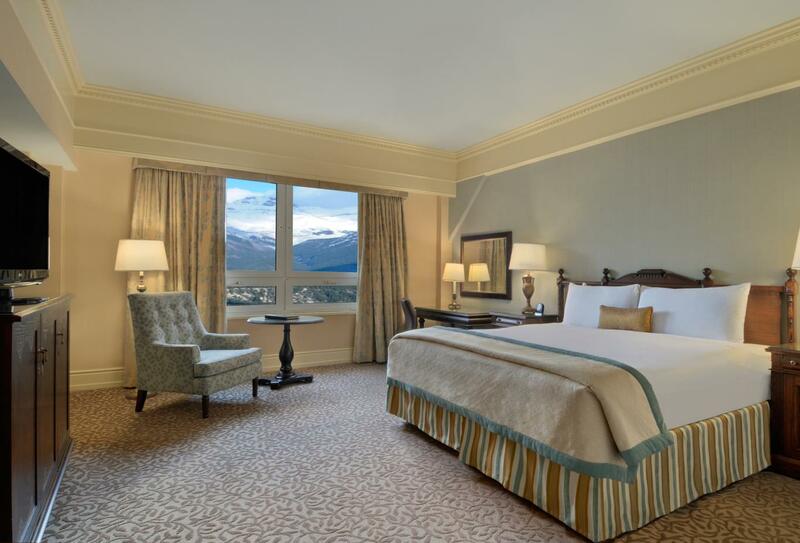 The Signature Mountain View Room is eloquently decorated with a hint of medieval influence. 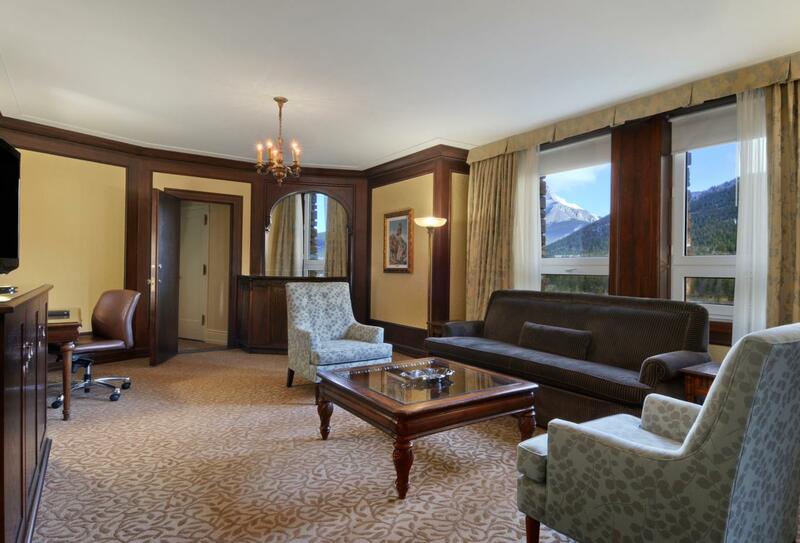 Guests can enjoy the distinctive architectural details such as the defined crown molding, ornate chandeliers and picturesque views over the Bow Valley and Fairholm Mountain Range. A vibrant abode that focuses on the essential home comforts and relaxation. There is a pleasant living area and woodland or castle courtyard views for guests to enjoy. 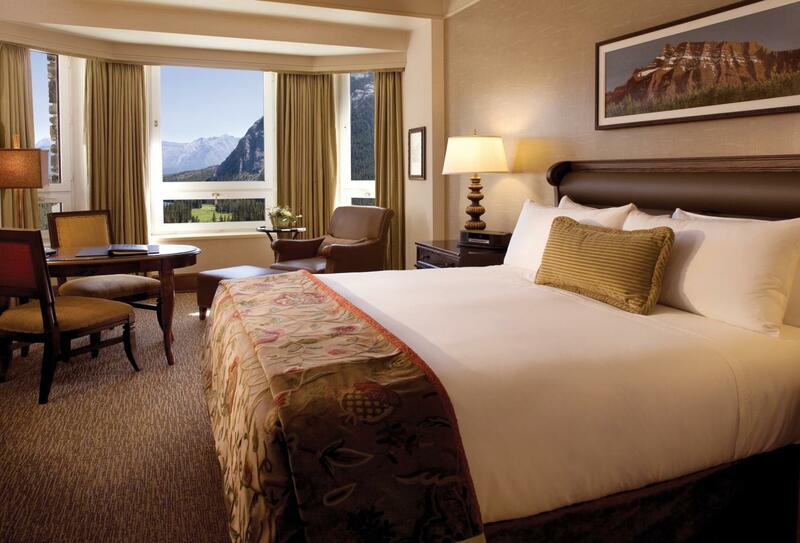 The Stanley Thompson Deluxe Mountain View room is a home away from home, with modern, suave décor and ambience. The room is located in its own wing to the south of the complex and is ideal for families or guests seeking to extend their stay in the comfort of extra living space and lavish bathroom. 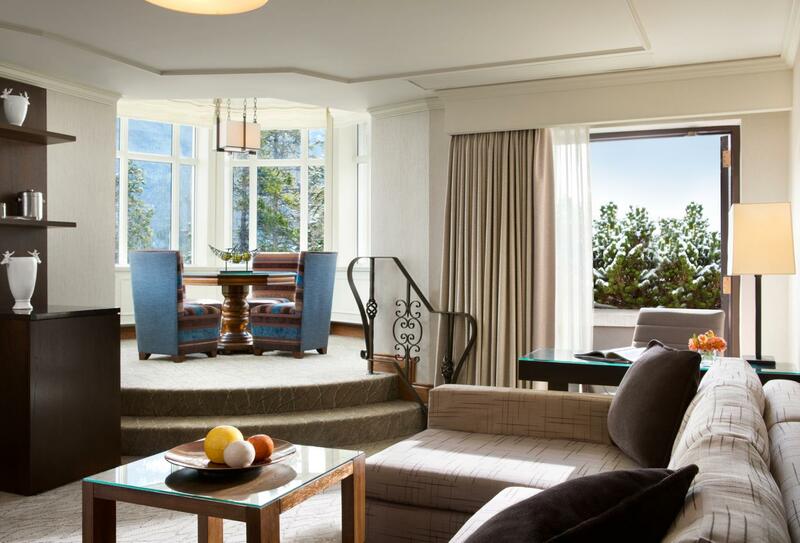 A spacious suite that is named after the famous Canadian golf course architect who designed the signature 18-hole course. Ideal for families with its modern surroundings and stunning mountain views. With exceptional views over the woodlands and the castle-like courtyards, the Stanley Thompson Suite is a lavish abode that is ideal for families. 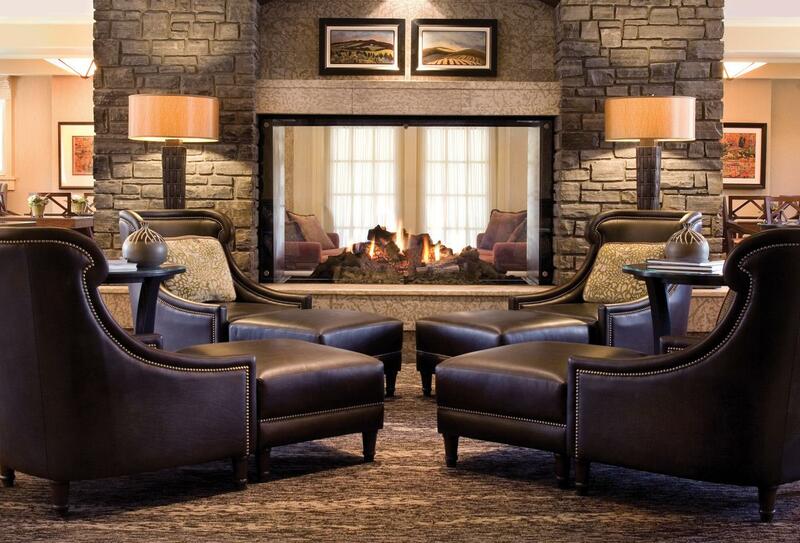 Spacious, modern Terrace Suites with luxurious bedrooms, a majestic living area and a gas fireplace. Breathe in the mountain air on the outdoor terrace and enjoy spectacular views across the Bow Valley or relax in your very own Jacuzzi tub. 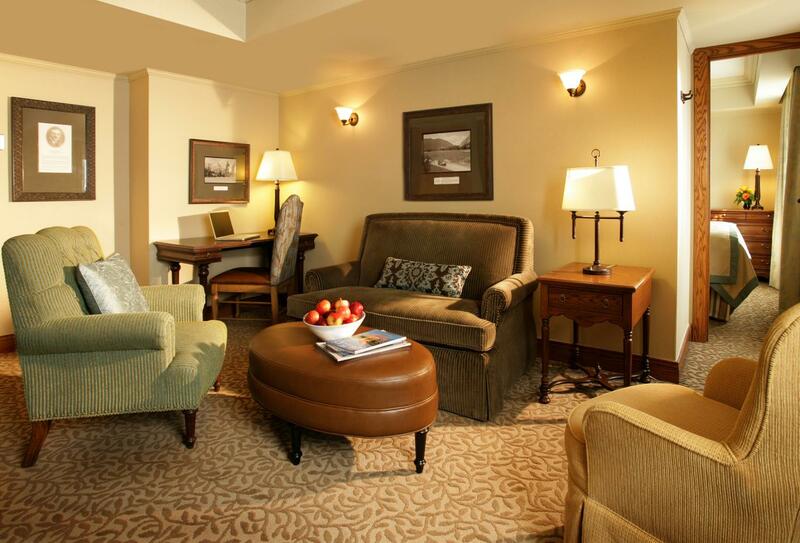 Feel at home in the comfortable surroundings of the Two Bedroom Suite. Comfort and privacy are fused together in this abode which makes it ideal for families or couples. 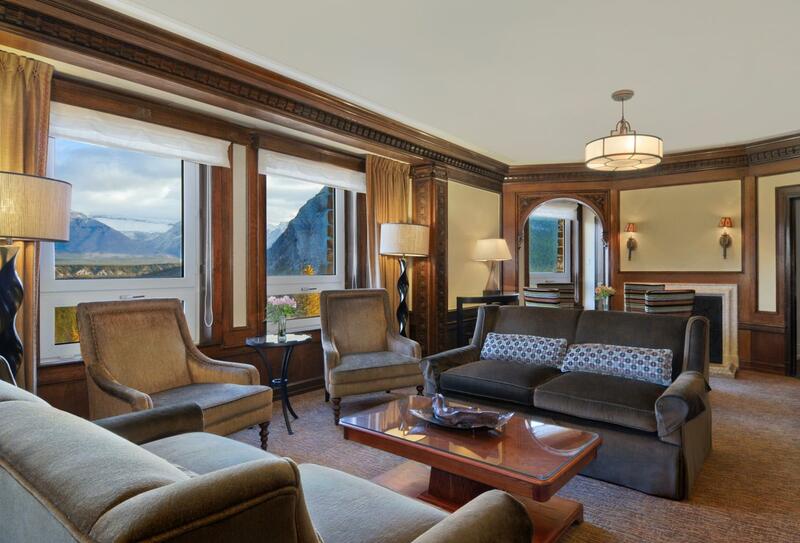 In the room there is a Bose stereo system and individually crafted furniture as well as spectacular mountain views. Take a step back in time and experience true renaissance living. 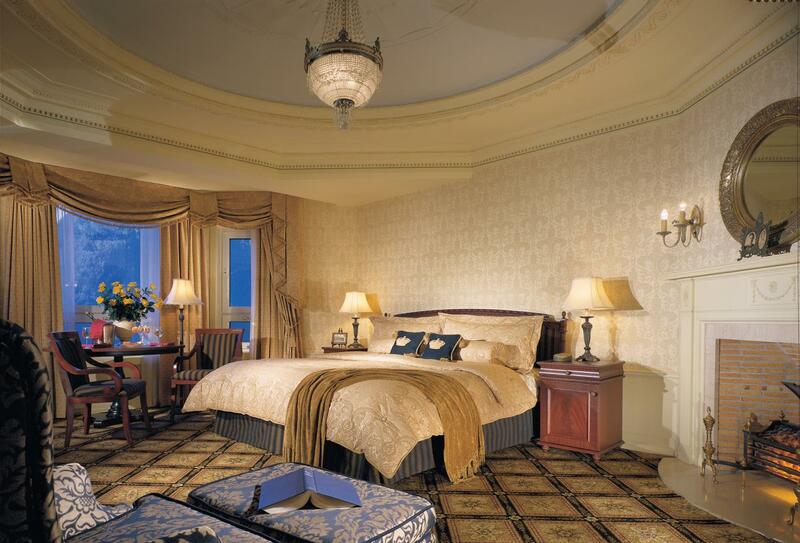 The Vive Regal Suite is a heritage accommodation that combines sophistication with luxury. There is a distinctive architectural design that resonates through the room, with three full bathrooms and spectacular views over the Bow Valley and Spray Valley. 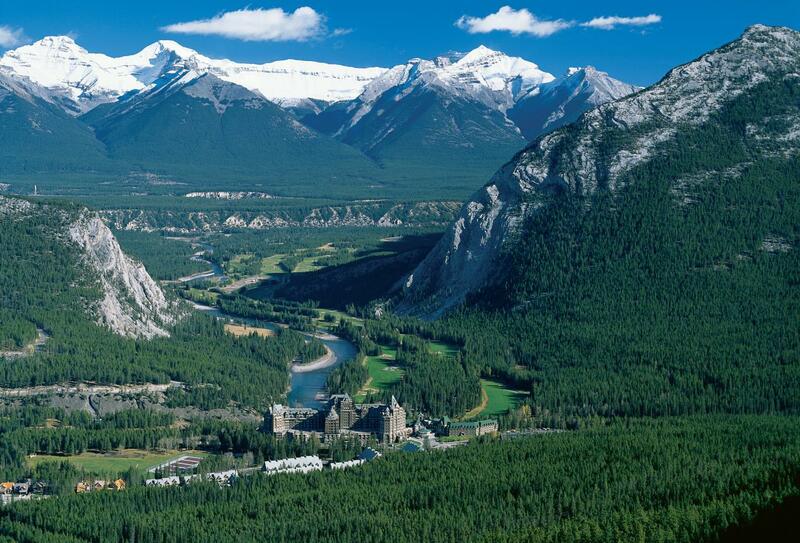 The Fairmont Banff Springs Golf Course is a challenging 18-hole, championship quality golf course that offers a breath-taking view in every direction. Guests, regardless of their skill, can use the course and there is a complimentary shuttle service to and from the golf course. Junior players are welcome if accompanied by an adult and a gold academy is available for those who need help mastering their swing. The course is only open from mid-May until mid-October and rates depend upon the season, how many holes you play and, also, the daily specials. Top quality equipment is available for a fee at your request. Sample packages only. Any vendors can be removed or other services included (additional flowers, videographer, upgrade transportation, DJ’s, ceremony musicians etc). All packages can be customized to suit your requirements and several additional services are available. The Banffshire Club takes traditional steak cuisine and uses a source of innovation to create a unique dining experience. The signature dish is the Alberta beef which is skilfully prepared on a Maplewood charcoal grill and accompanied by a selection of sumptuous side dishes. Open Tuesday to Saturday from 06:00 to 21:00. 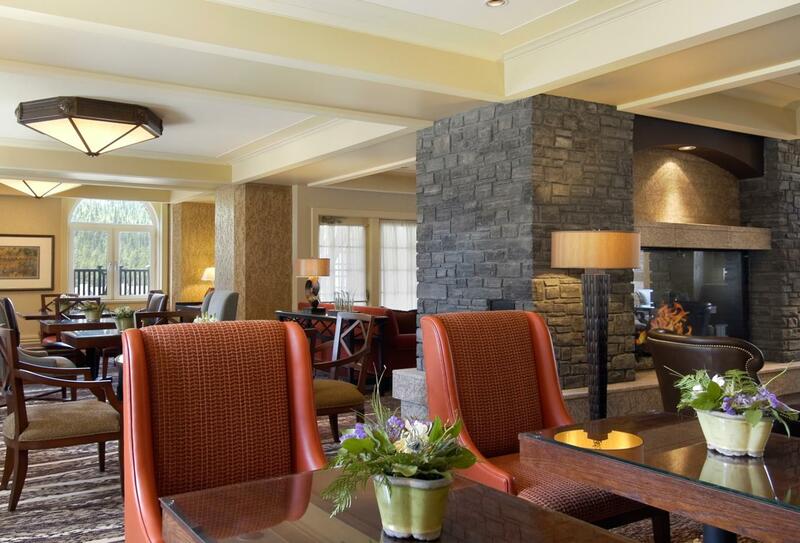 Boasting enchanting views over the Banff National Park, the Bow Valley Grill is a family-friendly eatery that serves an exceptional breakfast buffet as well as dinner. An open kitchen plan allows guests the opportunity to watch the food being prepared by skilled chefs. Open for breakfast at 06:30 – 11:00 and dinner at 17:30 – 21:00. Featuring a strong Italian décor, this restaurant features a plethora of flavours from the reservoir of Italian cuisine. Shareable appetisers, hand-made pasta and ultra-thin pizza are all available as well as a large Italian wine collection. Open for dinner at 18:00 – 21:30. If you want to experience traditional Japanese cuisine at its finest, the Samurai Sushi Bar and Restaurant is the place for you. Fresh sushi is made regularly and hot pot dinners such as shabu-shabu and sukiyaki are also available. Open Thursday to Monday 18:00 to 21:00. The Waldhaus Restaurant is nestled peacefully above the Bow and Spray rivers in a Bavarian-styled cottage. 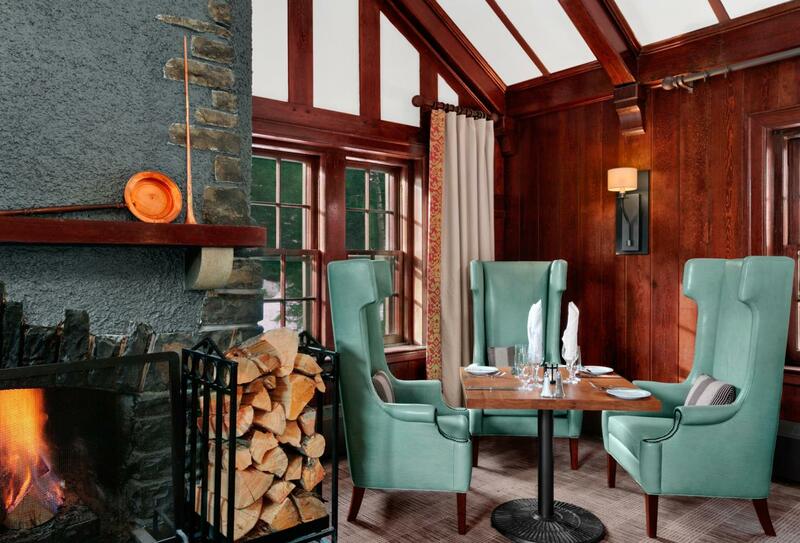 There is a sumptuous menu that features Alpine cuisine and an atmosphere reminiscent of traditional cottage living. Open nightly from 18:00 – 21:00. Located below the Waldhaus Restaurant, the Pub and Patio overlooks the Stanley Thompson Golf course and serves tasty pub grub alongside Bavarian delights. An excellent spot to watch your favourite sports team, play a game of pool or enjoy the scenery on the patio. Open 16:00 – 23:00 weekdays and 12:00 – 23:00 weekends. Intimate location that boasts an impressive range of international beers, scotches, ports and cocktails. Open daily from 11:00 – 01:00. A place of sophistication and relaxation, the Ramsay Lounge is a place to sit and choose from an extensive selection of spirits, wines, ports and scotches. Ideal for after dinner gatherings. Open Friday to Tuesday from 17:30 – 23:00. Award winning wines are the enticing draw for this elegant bar. Here, fine cheeses and gourmet foods are made in-house. The charming eatery was established in 1926 and has a writing room for after dinner discussions. Open 17:30 – 21:30. The Castle Pantry is a combination of a café plus bakery plus deli that offers a wide variety of delicious items for all guests. From early breakfast to a late-night snack, there is always time to sit down and relax in the seating area or get it to go. 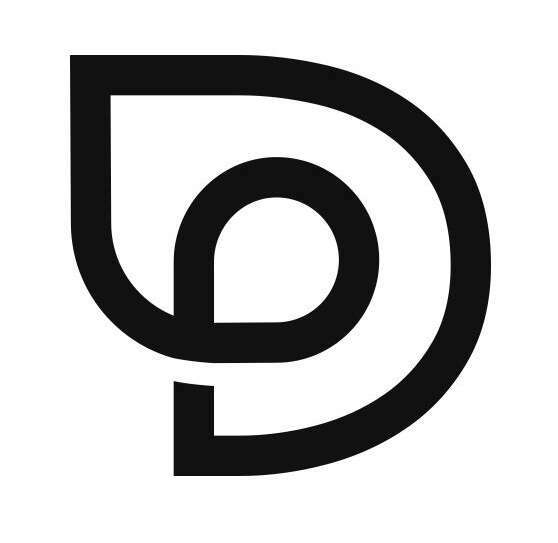 Open from 06:00 – 12:00. Specialising in southern barbeque treats, Stanley’s Smoke House overlooks the rivers and imposing mountains. There is a shuttle available to take you from the hotel to the smokehouse every half an hour. Open daily from 12:00 until dusk, The Lookout is in prime position to enjoy the stunning views of the nearby mountains on a sunny day. The restaurant serves some of the juiciest burgers ever tasted as well as salads and sandwiches. 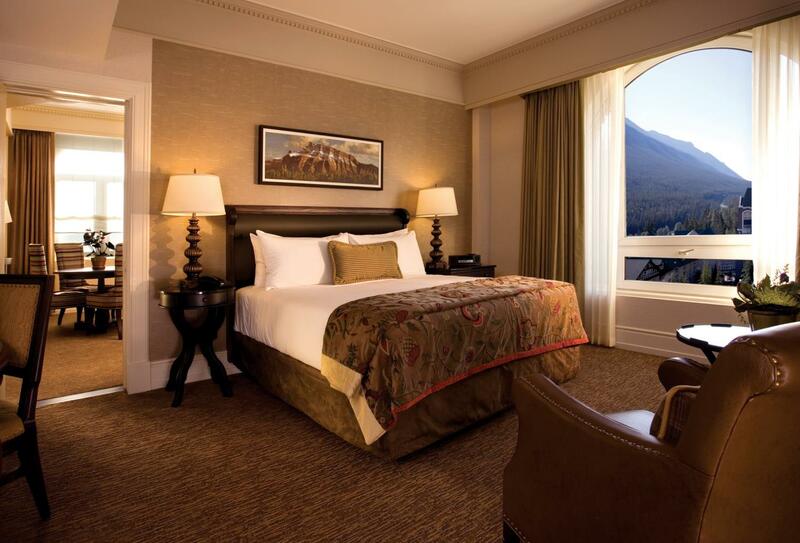 If you’d rather fall in to your bed after a day of travelling and adventure, Banff Springs can accommodate for you and bring you a delicious meal on a 24-hour service. 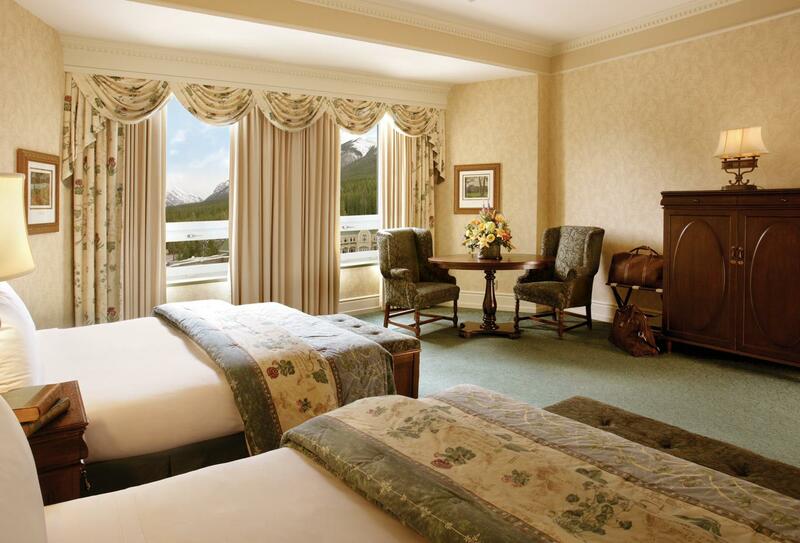 The Fairmont Banff Springs is located in the heart of Banff National Park in Alberta. The closest airport is Calgary located 80 miles East of the resort. The centre of Banff is just 4 minutes away and a bus runs every 40 minutes from 6am until 11.15pm. Banff Upper Hot Springs is located 6 minutes away from the hotel.